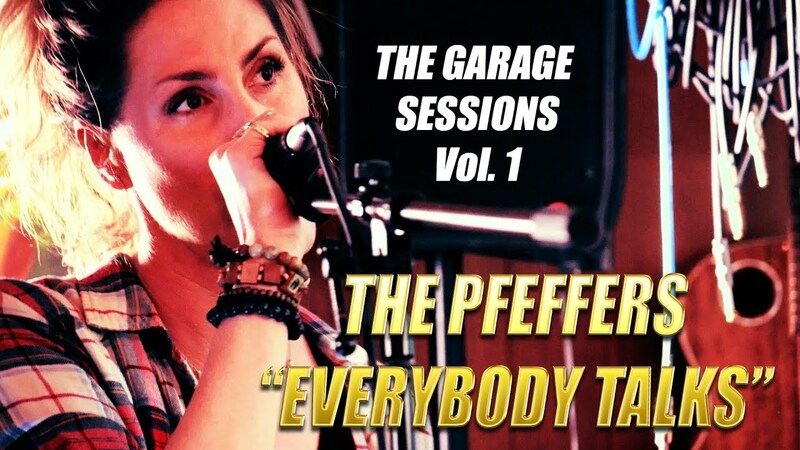 The Pfeffers (Live) The Garage Sessions Vol.1 - "She Shines"
The Pfeffers BRAND NEW EP "INTO OBLIVION"
The Pfeffers Live Studio Performance "Say You Want Me"
Kevin Pfeffer & Band Performing The Widow by the Mars Volta Live @ the 2014 Garlic Festical! 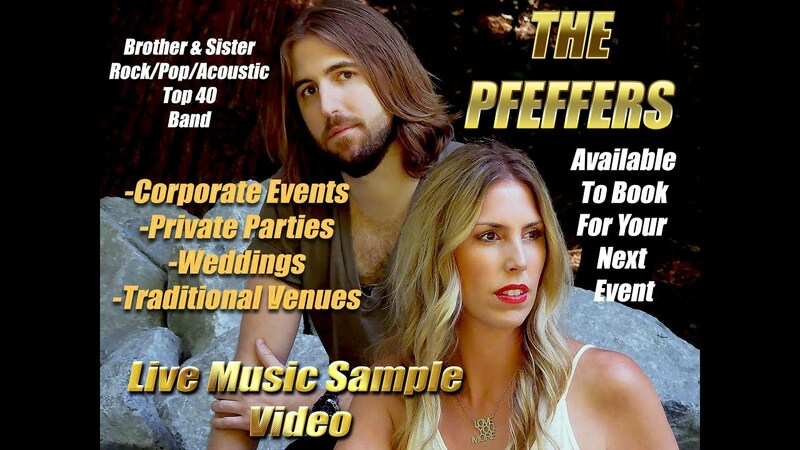 The Pfeffers are professional Singer/Songwriters and Entertainers. 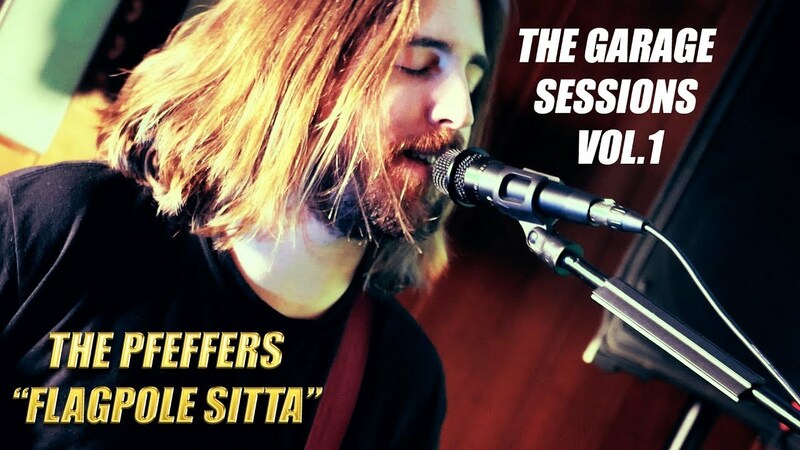 The Pfeffers have performed all over the country, They perform original and cover songs, spanning over many styles of music. Their current sound is a blend of Acoustic, Rock, Folk, and Pop. They put on a very entertaining performance. They can play for parties, weddings, corporate events, and more. They can also entertain a large venue of 1000 or more. Some of the songs they have posted on their profile are originals, but they are very versatile, so if you are looking for a certain sound or have specific song requests Kevin and Cori can definitely accommodate your event! I'm the bride, Megan, and Jake and I have been together for thirteen years. He surprised me with the wedding I've always dreamed of Saturday, May 30th 2015. I've always dreamed of having a live band at my wedding, this band was more amazing than anything I could have imagined. They went out of their way to learn three songs for our wedding, Otis Redding's, For Your Precious Love, Phoebe Ryan's, Remix to Ignition, and Ben E. King's, Stand by Me. I love the variety their vocal duo brings to the stage- channeling a little Pixie-esque for all of you 90's kids. They have amazing range, their original songs were on point. I have no doubt that one day I can say-"they played at my wedding," when they're famous. We have a pretty rowdy group of friends and The Pfeffers were more than obliging to play us six encores. I didn't want the music to end, they were incredible. If you're thinking of booking them- do it! Jake picked the most amazing band in the world for our surprise wedding- Thank you Pfeffers for making my wedding and reception so special and fun- you guys rocked it! Kevin was responsive, communicated throughout, on-time and dependable. He was extremely nice, played well and had an amazing voice to compliment the guitar he played. It was a pleasure working with him and I would highly recommend him for any event! Kevin was AMAZING!!! We hired Kevin Pfeffer to sing during the QuickBooks Connect Annual Conference and he blew our minds. Throughout the day we kept checking to see how many people had joined in to sing with him. Only to find it was still just him singing. His range and versatility surprised and amazed us. Everyone wanted more and we asked him to stay and play longer. We were so pleased when he agreed to stay and continue to grace us with his voice and play til the end of the day. What a delight he was to work with and listen to. If you get a chance to work with Kevin, book him today. He is the BEST!!! I would hire him again. The Pfeffers were wonderful for so many reasons! Great music, fabulous sounds! We love having them provide music during during a family milestone birthday celebration. They were so easy to talk with and to work with. We would definitely hire them for our next event! Really enjoyed the Pfeffers for our corporate event at Google. Their sound is amazing and they were able to blend in to the environment in a perfect way. Thanks! We hired Kevin to play at our corporate dinner party with about 100 guests present. He was extremely flexible, friendly, and talented. He provided a wide breadth of music that pleased our diverse professional crowd with ages ranging from 25-65. Kevin performed 1 song for my engagement proposal and it was absolutely perfect! He learned it super quick, help me capture it on a gopro, and followed all of my instructions to make it the most memorable moment. I highly recommend him. Phenomenal Music Group that You will Love !!! The Pfeffers performed at a family birthday party at an event room at the West Sid Grill in Gilroy California. There were about 50 guests and another 15 others that joined once the Pfeffers began to perform. The combination of great voices, wonderful music selections and an easy to deal with attitude made this event a huge success. The ages of our guests ranged from 22 to 85 !! The pfeffers performed songs for this group mostly from the 70's, 80's and 90's . The music and the songs they sung were a vital part of why this event was wildly successful. As an example, one of our guests was being represented a Bronze Star award he first got for bravery in the View Nam war. I asked the Pfeffers if they could perform Lee Greenwood's patriotic song, God Bless the USA. Their rendition was perfect and actually sounded a bit better than Mr Greenwoods ! You would be wise to engage this outstanding group for your event. 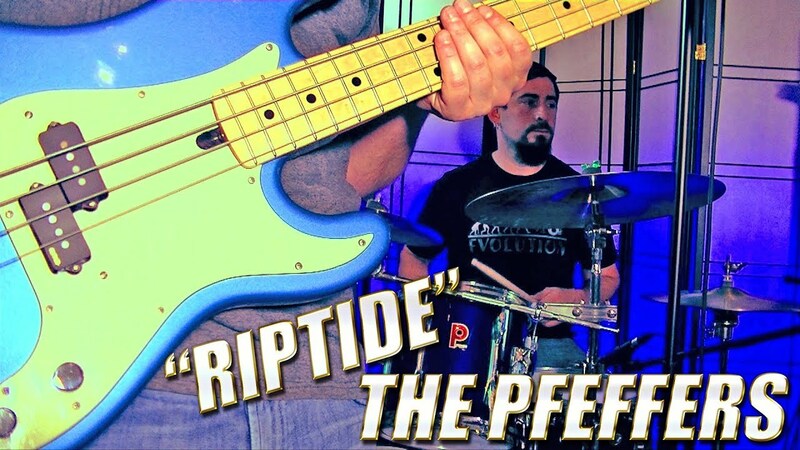 The Pfeffers are a great band that expertly mixed 80/90s throwbacks with their own original tunes that resulted in a fun, upbeat corporate event. I worked with them on the set list, and the entire band and crew were a pleasure to have at the event. I will be using the Pfeffers at my next earliest opportunity. Kevin and Cori played for the cocktail hour at our son's wedding rehearsal dinner. They were great about communicating in advance, wonderful to work with, and added just the perfect musical atmosphere to the evening. Will be hiring them again in the future! Highly recommend this duo! We couldn't have been happier with Kevin and Cori for our backyard wedding in Sonoma County! They learned multiple new songs for us, including some that were not very well known, and each one was absolutely beautiful. They made the experience so special, and we got so many compliments on our choice of band. We highly recommend them! This bother/sister due are amazing! They were great to work with and have a great sound. There was no problem with communication and making sure we were all on the same page for the open house we had! They are now my go to music choice for all our corporate events and even personal ones. We requested about four songs from him for our ceremony and he performed all of them beautifully. He played his own music during ceremony and we got so much compliment from our guests. He also performed our first dance and it was perfect and romantic. He was professional to deal with and replied with emails in a timely manner. Our whole experience was smooth and would definitely recommend him for any live performance. First of all... I underestimated how simple it is to find "The Perfect" performer for your wedding. I (yes... I truly did) left this little (HUGE) detail until the last couple weeks before the wedding. This... after a year long engagement/planning stretch. Needless to say, once I started doing my research for bands and performers I found that no one really fit my hopes of what would be perfect for our BIG DAY. Coupled with what already would cause most brides to have a total melt down... We had NO IDEA what our ceremony plans were for the procession. We just knew we wanted something "FUN" and "Unique". Enter my Quote request to Kevin here on Gig Salad! Kevin responded to my quote request and we had a quick phone call to see if his music was a fit for what I was dreaming up. I wasn't sure about it, but Kevin was so sweet on the phone and he assured me that he was up for the challenges I had presented him. I gave hime 2 COMPLETELY DIFFERENT styles of music that we wanted to somehow be worked into instrumental versions and used in the procession. Ready? Colbie Caillat's - You Got Me and Billy Idol's White Wedding!!!! and YES.... HE DID IT! FLAWLESSLY and BEAUTIFULLY and AMAZINGLY! He sent us the sound recordings of instrumental versions he made up to match each other. First try- UHHH-MAZING. I was so impressed! I highly recommend Kevin and his crew to entertain at your event. I could go on and on about his personality just blending right in with all our guests. He is so pleasant and we will most definitely be having him play for us again. THANK YOU, KEVIN!!!! Lots of gratitude your way! P.S. 10 STARS for ADAPTABILITY. You are AWESOME. Kevin is nothing short of AMAZING! Kevin is extremely professional and easy to work with and and WOW what a voice! He is an incredible performer, versatile and dynamic! We needed him to learn several songs at the last minute that were not necessarily his style and he pulled it off beautifully. A true musician and wonderful entertainer! We highly recommend Kevin Pfeffer for any live event! We are very professional, punctual, and extremely easy to work with. We bring a great vibe and put 110% into any task we take on. We put on a solid performance and guarantee to entertain our audience. We can play for parties, weddings, or corporate events. We can also entertain large venues of 1000 or more. Kevin and Cori are a brother sister duo who have been singing and performing together off and on for over 10 years before finally making the decision to team up exclusively. 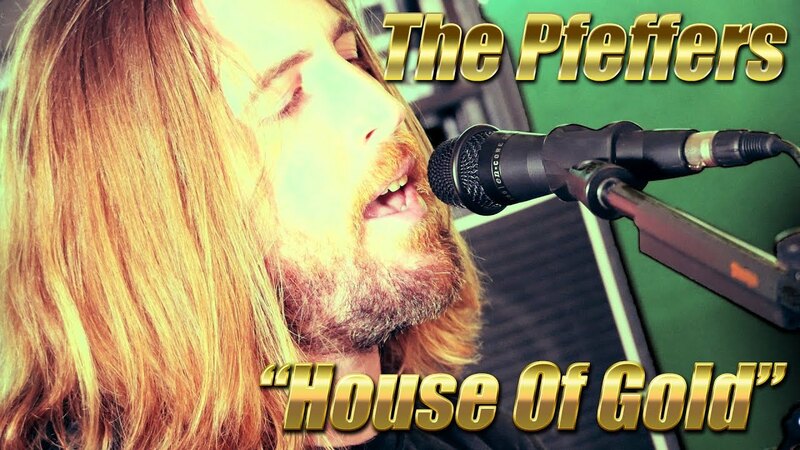 Kevin Pfeffer is a Singer/Songwriter and Entertainer from the California Bay Area. Kevin's unique musical brand fuses elements of rock, pop, acoustic, and alternative into one concoction. His musical ability transcends any one particular style or genre. Kevin's songs consistently captivate his listeners by packing a powerhouse of emotion, melodic riffs, and originality. In addition to having a knack for writing catchy hooks and sing along material, Kevin also delivers a stellar live show commanding the attention of his audience with explosive vocals, heart felt lyrics, and sincerity in each and every note he produces. This stems from years of diverse musical back ground. Kevin picked up his guitar at the age of 10 and never put it back down. He has since toured the country several times, played hundreds of shows, and released 3 studio albums. He has shared the stage with such acts as The Goo Goo Dolls, Rise Against, Boys Like Girls, We The Kings, and The Expendables to name a few. Formerly front man of the California based rock group Five Minutes to Freedom, Kevin decided to take his career in a new direction as a solo artist. On May 17th 2014 Kevin independently released is debut solo EP titled "Rising Up" Volume 1. The EP has quickly picked up steam creating a buzz in the California Bay Area. Within a few weeks of it's release, Kevin landed the Featured Artist of the week spot on ReverbNation's home page. The songs were crowd reviewed and received radio ready scores across the board. "It's not just one or two songs that are really good on the record, every song is a single" states one of Kevin's reviewers. "Don't take my word for it, listen for yourself". Cori Pfeffer is a graduate of The Boston Conservatory and Berklee School of Music in Boston, Mass. She has a long resume of performing. While living in Boston, she sang The National Anthem for MLB's Red Sox at "The Green Monster" and had the privilege of playing the part of "Kitty" in the World Premiere of The Screams of Kitty Genovese. Cori also had the rare opportunity to sing with the famous Boston Pops. While living in New York, she made multiple appearances on the soap Guiding Light and recorded pre-demos for Rhianna before accepting a one year contract touring the world as a performer on Cunard's famous QE2 cruise liner. Kevin and Cori are excited to share the stage again and collaborate on new original music. They look forward to releasing their debut EP in 2015. We can provide a PA system and all equipment needed to entertain small or medium size events, We can mix and take care of the live sound engineering, no sound board person required as We do that ourselves. If the event or venue is very large, we may require that the live sound set up be provided. Large variety of Modern Hits, Classic Rock, Pop, Acoustic, Folk, Indie, Easy Listening, Covers, and Original Songs. We can entertain for up to 3 hours straight, or longer with a few short breaks in between. We are primarily an acoustic duet act but if you are looking to book a full band we can assemble our full band for a "Big Full Rock Band" Experience. We are all very solid and seasoned musicians who have toured the country several times.